Like I’ve mentioned many times before, I’m the online English listening teacher. I help English learners who love movies and TV shows break free from subtitles so they can fall back in love with their favourite series or film. And better understand native speakers in real life, where there are no subtitles. That’s all well and good but what does that ACTUALLY look like? 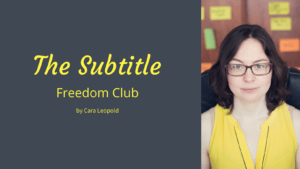 In this post, I’m taking you behind-the-scenes of my programme, Freedom from Subtitles and showing you exactly how I help my clients go from frustrated subtitle readers to living a subtitle free life where they understand native speakers when they talk fast. I start off by finding out what your favourite TV show is: the one you want to watch without subtitles. I know that going beyond passive listening and improving your listening skills is tough. You have to train your ears with dictations and struggle through sections of dialogue you feel like you’ll never understand. That’s why I use your favourite TV show. So you’re motivated to do the work it takes to go beyond passive listening and open your ears to the way English really sounds. After you sign up for Freedom from Subtitles, I send you a questionnaire asking you which series you want to understand, plus some other questions to learn more about you and the problems you’re having. That way, I can make sure I’m solving your exact listening problems with the TV show or movie you love to watch. 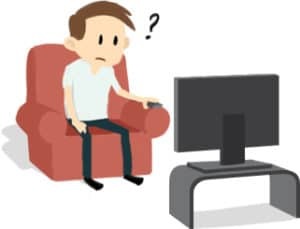 What’s different about Freedom From Subtitles, compared to your evenings spent just watching your favourite TV show, is that we work on short clips of TV series or movies. Why do I do that? Well, I’m sure you’re familiar with the overwhelm you feel when you try to watch a 45-minute long episode of a TV show or 2-hour movie. Using clips the way I do helps you develop your listening skills in manageable chunks. Once I know what your favourite series or movie is, I take a week to put together a month-long programme specifically for you, based on a selection of clips. You could put any material (podcasts, TED talks, YouTube videos) into this system and improve your listening skills. As I’m a movie lover myself, I prefer to work with TV shows and movies as that motivates me too. All of these exercises then help you better understand the clips we work on in the programme. You work through the material, day by day, with support and accountability from me. I’m there for you every day to give feedback and help you with any difficulties you’re having. This is one of the things my clients appreciate most about the programme: that I’m there for them whenever they need me in Google docs, by email, or on Whatsapp. Your tasks are spread out over the week and everything is organised within Trello so that all the material is in one place. My clients love that they know exactly what to do each day and don’t need to waste time trying to figure out how to work on their listening skills by themselves. The daily activities take around 10 to 30 minutes to complete so they’ll fit into your busy schedule. And as Giulia mentioned, the tasks are based on the TV show you chose, so you’re motivated to do them. 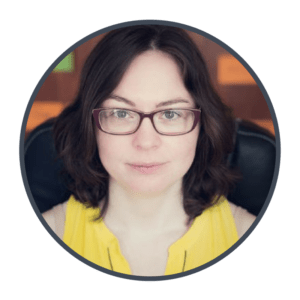 In fact, after the course, you could take the same steps to understand any type of spoken English you want (a podcast, a TED talk, a vlog), or another TV show of course. My clients get results quickly on this programme because I ensure I choose people who are ready for it and who have a show they’re already watching but finding tricky to understand without subtitles. Of course each client is different. 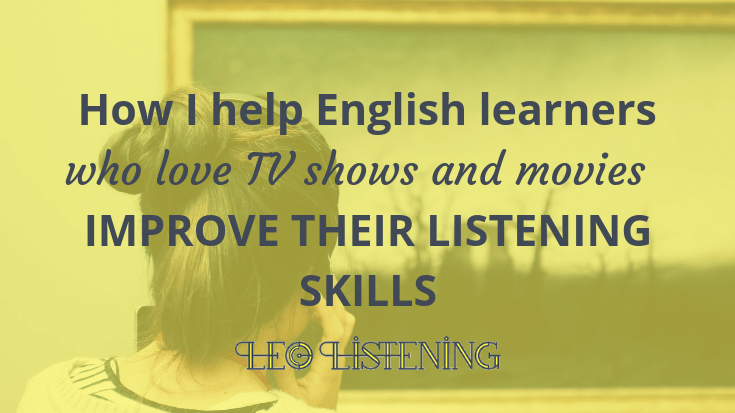 But my goal is always to help you improve your listening skills by enabling you to watch your favourite TV show or movie without the subtitles. 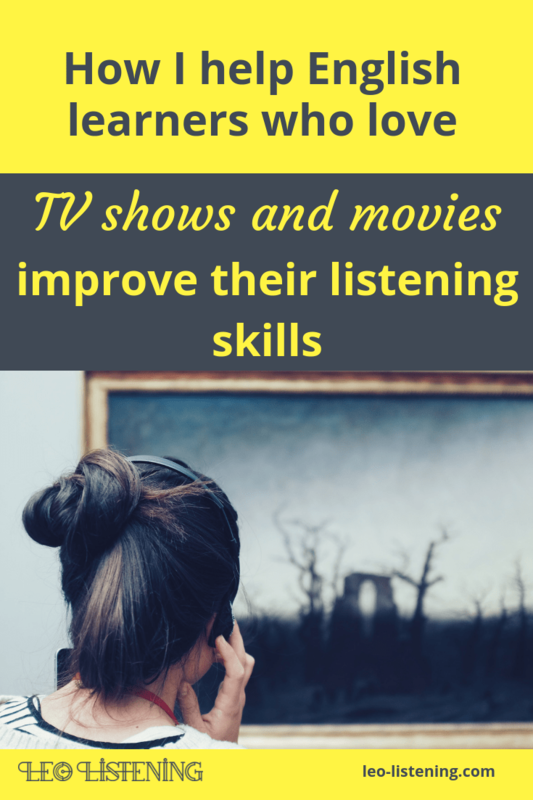 As a listening teacher who loves watching movies and TV shows myself, I know that just passively watching TV programmes or films isn’t going to improve your listening skills. That’s why this programme trains you to catch fast, spoken English with effective exercises using clips of your favourite TV show or movie to motivate and encourage you to do the work. Freedom from Subtitles is a 4-week English listening programme for TV and movie fans who want to watch their favourite show or film without subtitles. But can’t figure out why they can’t catch what their favourite actors and other fast-talking native speakers are saying half the time. Sound like you? Come try out a free week of working with me. 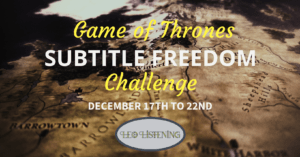 From Monday December 17th onwards, I’m running a special Game of Thrones Subtitle Freedom Challenge on Facebook. It’s your chance to see inside one week of Freedom from Subtitles FOR FREE and work with me live every day. Click here to join the Facebook group so you can take part.